Welcome to my personal website. You can view pages on some of the different projects I’ve worked with over the years, including the setting up of Infinity Foods natural store back in the 1970s, the writing of Nature’s Foods – a simple natural foods cookbook in 1973, the founding of The Journal of Chinese Medicine in 1979 (see also the JCM facebook page), the co-authoring of A Manual of Acupuncture (published in 1988) and my most recent book Live Well Live Long about the Chinese nourishment of life tradition (yangsheng) published in 2016. I have also added pages about my long experience of qigong, my love of music (you can listen to a couple of tunes from The Matzos – a klezmer band I used to play in, and check out some Spotify playlists I’ve put together), plus some photos and info on my self-built yurt. And finally I’ve posted links to some of my writings, both academic and creative. I purchased the point location flashcards but my Lung meridian cards recently became damaged. I was wondering if it is possible to purchase a new set of cards for the individual meridian or would I have to purchase the whole set again? Hi Karen. Glad you finally got it sorted out. I’ve bought the App “A manual of Acupuncure”! I’m Austrian but got it in English few years ago. Is it possible to get it in German too ? Hi deny. Yes the German app is available in both Apple and Android versions. I am an acupuncture student and purchased your app for my iPhone and found it extremely useful. I have recently switched phones to an android. Is there a way to get my already paid for app to download on my android without having to pay for the app again? Hi, i purchased yr app for my laptop and enjoying it a lot as am a second year student of classical chinese medicine. How can i download it to my cellphone,android version? Hello Peter – I hope you are well. I just bought your udemy course on qi gong – I think you said to put questions here you on your website? I have a question about something you said which I don’t understand – you said something like when doing qi gong that deep breaths should be encouraged but not forced and that forcing deep breaths can be dangerous. I don’t understand why this is? Should the qi gong movements just be done in time with my normal breath – which is quite quick. Normally I think I deliberately slow my breath somewhat and make myself breath deeper on purpose. Thanks in advance for explaining what you meant in a bit more detail. Have you come across Bai Hui being the gate between Heaven and Man? Comments? My name is Adam, I am an acupuncturist and professor of Acupuncture in Brazil (Brazilian College of Acupuncture and Chinese Medicine). I use your wonderful book (along with Al-Khafaji and Baker) MANUAL OF ACUPUNCTURE. However I have a question regarding the location of point GB39. In all the books I have had the opportunity to study, this point is located tangentiating the anterior margin of the fibula and my students always question me because in your book it is located in the posterior margin. Could you elaborate on this? Thank you for your attention and thank you for this important contribution to Acupuncture in the world. Good to ‘meet’ you … and thanks for the kind comments. 1. Needling posterior to the fibula is a bit more difficult and could be called a more advanced technique with the advantage of inducing powerful deqi. The needle has to pass between bone and tendon (angled posteriorly to miss the bone) and then straightened. If the patient moves their foot, the needle can bend dramatically. Needling anterior is more straightforward. 2. At the deep level, the tips of both needles could end up close to each other – if the point is needled anterior to the bone but the needle is then directed posteriorly. Hi Peter! 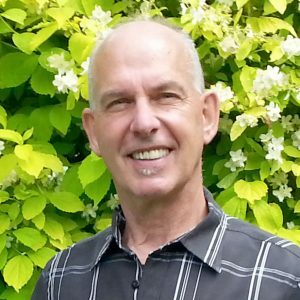 I am a TCM practitioner in Toronto, Canada. I am writing a graduate thesis on the multi-bed clinic model. An article you wrote for the JCM in June 2012 about community acupuncture (in response to Lisa Rohleder) made a strong impression on me. I would be honored to interview you for my thesis. I am particularly interested in your experience with different clinic models, your thoughts on the forms of study and practice that our field benefits best from, and what you called the challenge to combine the practical benefits of community models with the time and focus needed to foster an enriching practice of Chinese medicine. PS: have you read the article in the last issue of the JCM on the Source Point clinic? Your acupuncture book got me through acupuncture school and is still my go-to reference as an acupuncturist, now in my 11th year of practice. So thank you for your time, energy and devotion to our profession, in all the many ways thats been evident. I’m writing because I am making a presentation on acupuncture for women’s health at the upcoming (Sept. 23rd) Tristate Conference for Nurse Midwives. My hope is that I might have your permission to use the images from your book/app during my power point presentation that illustrate the location of about 5-10 acupuncture points to be used during childbirth. I feel that the illustrations in your book/app are far superior to those others I could find and would help to solidify and clarify their locations to people unfamiliar with acupuncture. Thanks for the email. You are welcome to use the images for this purpose. We organize an International Conference on Alternative Medicine which is to be held on February 26-28, 2018 at London, UK. The conference highlights the theme “Emerging the power of nature”. Hi Johncy. Thanks for the info. What do you mean by ‘officially invite’? Love your acupuncture book and now your website. I am an acupuncturist and psychologist. I have an interest in writing a book on the use of essential oils on acupuncture points. Would like to use your point drawings for my writing and interested in the correct procedure to request permission to use your drawings. Dear Peter, I’m a huge fan or your work, your manual is a basic of my clases of Points and Meridians (I´m a TCM teacher in Buenos Aires). Recently I brough a licence of the version online, love the videos!!!! I would like to help an spanish translation, is my natural language. Many people in Latin America can not access their material due to language difficulties. Would be a pleasure to do that contribution. Waiting for your answer and thank fot all your knowlege dear master!